Authorities of the southern-central province of Khanh Hoa have announced a list of 21 hotels guilty of violations. Nguyen Thi Le Thanh, deputy director of Khanh Hoa Province’s Department of Tourism, said that the violations were related to fire prevention and control, food safety, construction regulations and environmental issues. Among those, hotels such as 19-floor Euro Star and 14-floor Dubai were fined for not being checked with fire safety before becoming operational. Two hotel-apartment complexes of Muong Thanh Group Joint Stock Company are also included in the list. Muong Thanh Luxury Vien Trieu has been fined VND115 million (USD5,000) for building an unlicensed swimming pool. 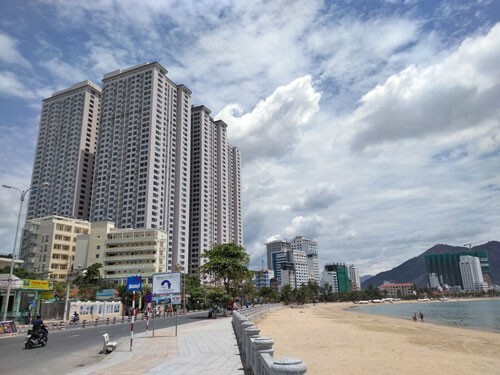 Meanwhile, Muong Thanh Luxury Khanh Hoa built more floors than permitted. The work was put into operation despite lacking safety checks. Many other hotels lack fire exits or increased their room area beyond their planning permission. The listed hotels have been published on the department’s website. Travel agents were asked not to promote these facilities. The announcement has been made before Nha Trang-Khanh Hoa Sea Festival to warn the public of the hotel violations. According to Khanh Hoa police, local hotels have to take at least four checks of fire safety each year.